Here is an older release from these purveyers of organic dark ambient music. 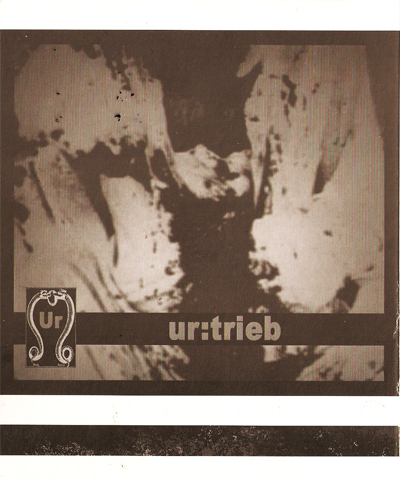 Trieb, having been released in 2008 is still available over at Topheth Prophet. It’s a disc that hasn’t shown it’s age and still lives up to expectations of delivering dark esoteric music. Split into 4 tracks, each running about 10 to 17 minutes, these are drifting compositions that are allowed time to sink in, expand and evolve to form long stretches of creepy atmospheres. Kicking things off is The Belly Of The Earth Is Open Wide a solid track of dark harmonious drones and subtle sound design to complement them. Eventually the layers are overcome with a low gritty wall of noise and soon joined by a managerie of industrial elements. The clanging climax is quite effective and leads to a solid close. In the following track Recurring Dream things go into a more experimental route with industrial atmospheres that soon turn into subdued noise reminding me a lot of sound of early Gruntsplatter. The Room Of Wounds uses what sounds like more of a guitar charactistic, maybe scratching strings or something? This leads in a direction which doesn’t work quite as well for Ur, but still one that shows they have something new to bring to the table. Once again, noisier elements are mixed in, but the repetitive guitar rambling tends to get tiresome and I was thankful when it finally fell to a slithering tentacle of distortion towards the end of the track. The closing track Happy Hour (Abattoir Lounge) has the most in common with the previous Recurring Dream track. Droning noise layers, mostly in the higher register with a dull pushing core. The mid to low range is very lo-fi and certainly lacking a bit, but the details are in the high end of the spectrum here. It’s the longest track and perhaps not my favorite yet it does the job of closing the album. This is a solid effort but it shows that Ur has room to grow – which I’m sure they have since it was released. There is definitely a lot of potential here, especially in the opening track. If they can harness that energy and preserve it for an entire album they are destined for something greater.